Pierre Gasly is hoping to follow in the footsteps of Sebastian Vettel after being given a shot at the big time with Red Bull. 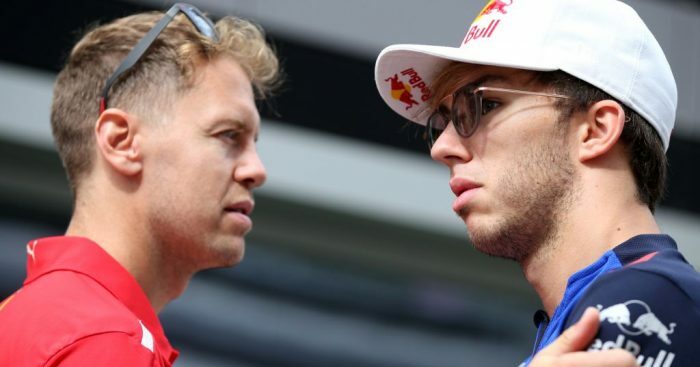 The Frenchman has been chosen as the driver to replace Daniel Ricciardo at Red Bull and wants to construct a similar success story to the four-time World Champion. “The only people I look at are the ones that succeeded,” Gasly told Motorsport.com. “I look at Seb. Seb did the same thing as me, one and a half year in Toro Rosso, jumped to Red Bull, had a successful time straight away. “Max did the same, had a successful time straight away. “So, you know, it’s all up to me. I don’t want to look at people that failed. “Of course you can look at what went wrong and learn also from them, but I’m inspired with the people that succeed. Gasly has had to be patient when waiting for his chance in Formula 1, even more so when winning the GP2 World Championship in 2016 as a Red Bull junior- only for Toro Rosso to keep Carlos Sainz and Daniil Kvyat as their driver line-up. “I’m really happy to see it paying off now. I get great opportunities thanks to all the hard work I’ve done in the past. “I’ve been sometimes at the right place at the wrong time, and this time I’ve been at the right place at the right time. “My life has been pretty awesome in the last 13 months.